How can digital innovation help your region grow? Digital innovation has the potential to radically improve people's lives and help stimulate growth throughout Europe. 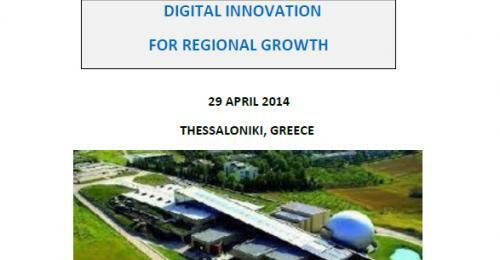 Join us on 29 April 2014 for a high level event in Thessaloniki, Greece to find out about the support available from the EU to help boost digital innovation in your region. The one-day event will consist of presentations and interactive workshops to discuss with the European Commission, the S3 Platform, European regions and local stakeholders, on Innovation Procurement and Innovation Vouchers and their application in boosting regional digital growth. Innovation procurement holds an enormous — so far largely underexploited — potential to improve the quality and efficiency of public services and create market opportunities for innovative firms. Meanwhile, schemes for ICT Innovation Vouchers implemented by EU regions can improve the competitiveness of microenterprises and SMEs by stimulating the demand for a large range of innovative ICT-related services and development of new products, services and processes. Participants interested in providing an input to the interactive discussions by sharing views on initiatives in their region in the afternoon parallel sessions please contact Mr. Vasileios Tsanidis Policy Officer, Innovation Unit, DG CNECT European Commission by 10 April 2014. 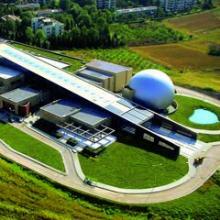 The Greek Film Center, partner of PREFORMA, will deliver a presentation of the project and of the call for tender to the audience, which is expected to be composed of more than 200 representatives from public administrations, regulatory bodies, policy makers, research centers, universities and SMEs. The title of the presentation is "PREFORMA PCP project: Tackling the challenge of long term digital preservation through PCP". Registration: register for the event here.